The Han Dynasty was one of the great dynasties of Ancient China. Much of Chinese culture was established during the Han dynasty and it is sometimes called the Golden Age of Ancient China. It was an era of peace and prosperity and allowed China to expand to a major world power. The Han Dynasty ran for over 400 years, from 206 BC to 220 AD. It was the second Imperial dynasty after the Qin Dynasty. It was followed by the Three Kingdoms period. The Han Dynasty began with a peasant revolt against the Qin Emperor. It was led by Liu Bang, son of a peasant family. 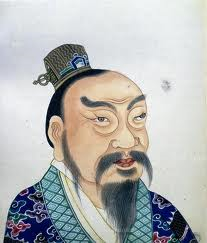 Once the Qin Emperor was killed there was a war for four years between Liu Bang and his rival Xiang Yu. 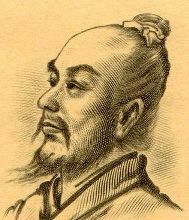 Liu Bang won the war and became emperor. He changed his name to Han Gaozu and established the Han Dynasty. One of the first things that Emperor Gaozu did was to establish the civil service. He gathered a number of educated men about him to help him run the empire. Later Han emperors would establish examinations and schools to make sure that only the most intelligent men would run the government. This method of government would run for over 2,000 years. The period of the Han Dynasty was a time of invention and science. One of the most important inventions was paper. Paper allowed the government to easily keep records and pass on instructions throughout the empire. Other important inventions include iron casting, crop rotation, and acupuncture as well as advancements in medicine, mathematics, building, agriculture, engineering, and astronomy. Many people lived in the cities. Life was nice for the rich who lived in big houses that were finely decorated with carpets and art. They wore silk robes and were well educated. Life in the city was difficult for the poor who lived in crowded houses and often went without food. Life in countryside was better for the peasants. They had to work hard, but they generally had food and shelter. Taxes were reduced during the Han Dynasty and people who tilled the soil were often respected. Merchants were generally not respected. However, they were able to become rich, especially with trade improving due to the Silk Road and general peace in the country. Laws were made to make merchants wear white clothes and pay high taxes. The biggest products in the Han economy were iron, salt, copper work, and silk. The Silk Road was established during the Han Dynasty. This trade route from China to Europe was a great source of wealth and luxury items. Buddhism first came to China during this time. Social status was very rigid. There were 20 ranks of status and each level had increased privileges. Merchants were ranked low while craftsmen, doctors, and farmers were ranked fairly high. There was a short period when the Han Dynasty was overthrown by the Xin Dynasty. This lasted from 8 - 22 AD. The time before the Xin is often called the Western Han and the time after the Eastern Han. The name of the first Han emperor, Gaozu, means "high ancestor." He named his palace Lasting Joy.